One of the core values of the Carmen Electrode brand is empowering women. We strive to raise each other up, guide and support one another, learn and grow together, and encourage each other to take chances and step out of our comfort zones. Through social media, we’ve been able to connect with thousands of women who exemplify these admirable characteristics. And we were lucky enough to meet with one of those women who we believe completely embodies this aspect of Carmen Electrode. 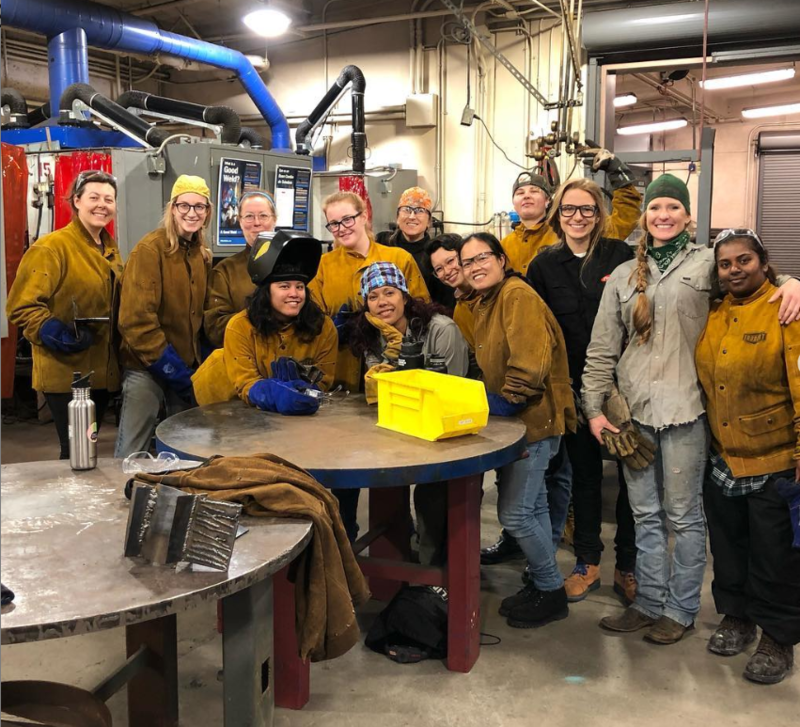 Samantha Farr, the creator of the non-profit organization Women Who Weld, sat down with Arc-Zone’s Joanie Butler to discuss welding training, supporting women in the industry, and how Samantha went from urban planning to welding instructor. Samantha definitely made an impact on the industry, so much so that she’s taken her courses on the road. 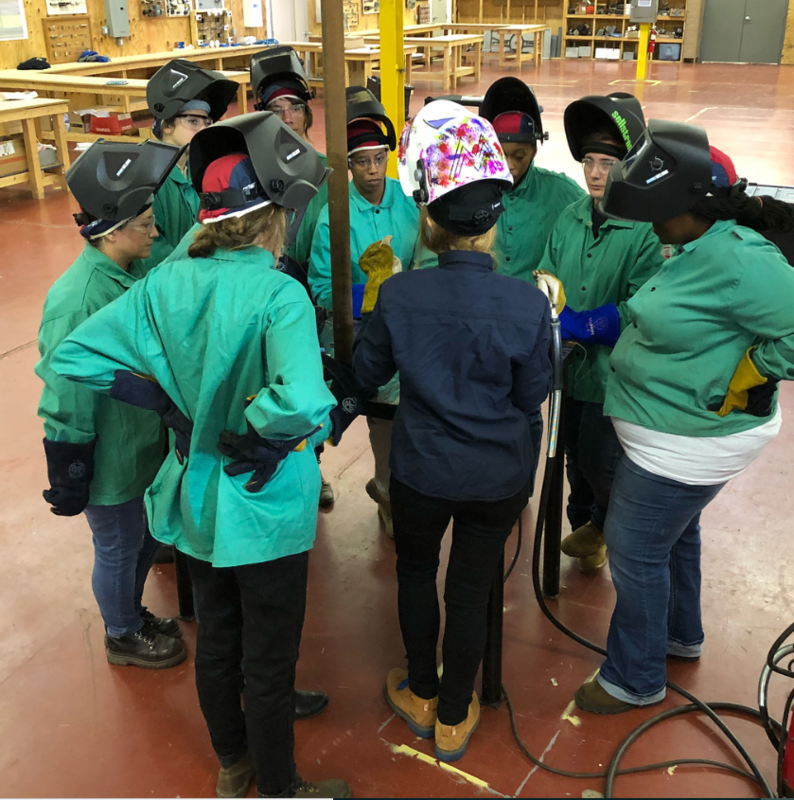 Samantha, along with her husband Corey, travel coast to coast teaching women of all ages the basics of welding. 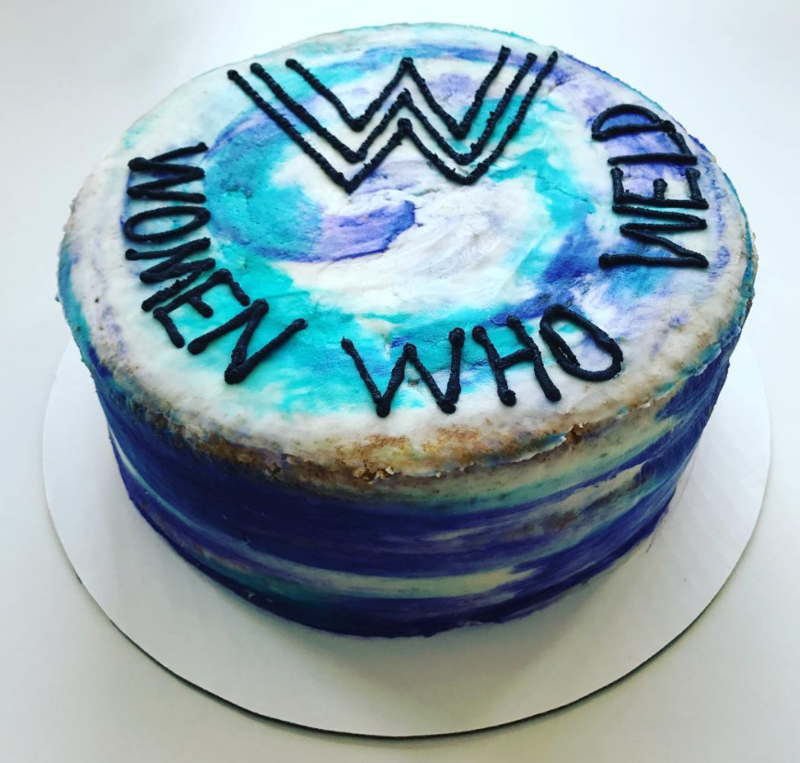 To learn more about Samantha and her organization, visit www.WomenWhoWeld.org or check out @women.who.weld on Instagram. 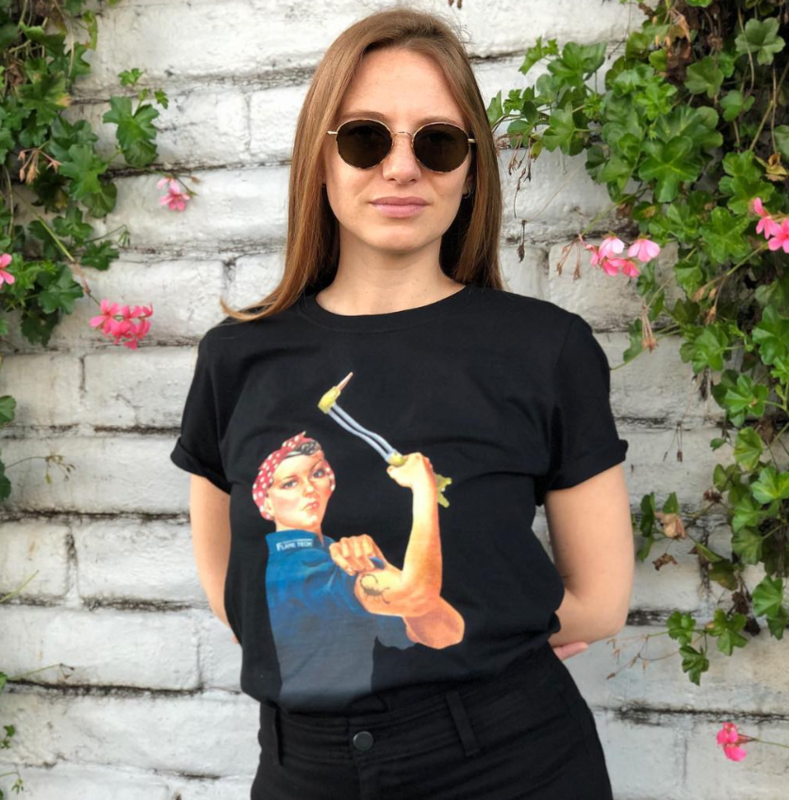 This entry was posted in New Rosies, Working Women & Society and tagged Arc-Zone.com, Carmen Electrode, Flametech Scorpion, Lincoln Electric, Welding Courses, Welding Training, Women Who Weld, Women's Empowerment on April 9, 2019 by Carmen. With a degree in mechanical engineering from the University of Dayton, Erin Justice was a good catch– for Lincoln Electric’s technical sales team. “I was recruited….right out of college,” she says. As a native of the Cleveland area, Erin was familiar with the reputation of Lincoln Electric, a leading manufacturer of welding equipment. It was the people at Lincoln that clinched the deal. “Lincoln is a big company with a small company feel,” she says. “Everyone is very personable.” The combination of technical expertise and a pleasant work environment seemed to be the perfect fit. Erin’s official bio states that although she had some experience welding during a stick welding lab in college, it wasn’t until she went through 16 weeks of welding classes at Lincoln’s renown welding school that she learned the special skills needed to excel as a technical sales representative in the Detroit District office. As an engineer, it’s not surprising that Erin finds the challenge of welding to be a big part of the draw. “Welding is an art that requires a lot of practice. There is a lot of science and technology behind that art,” she says. Discrimination has not been a problem for Erin. 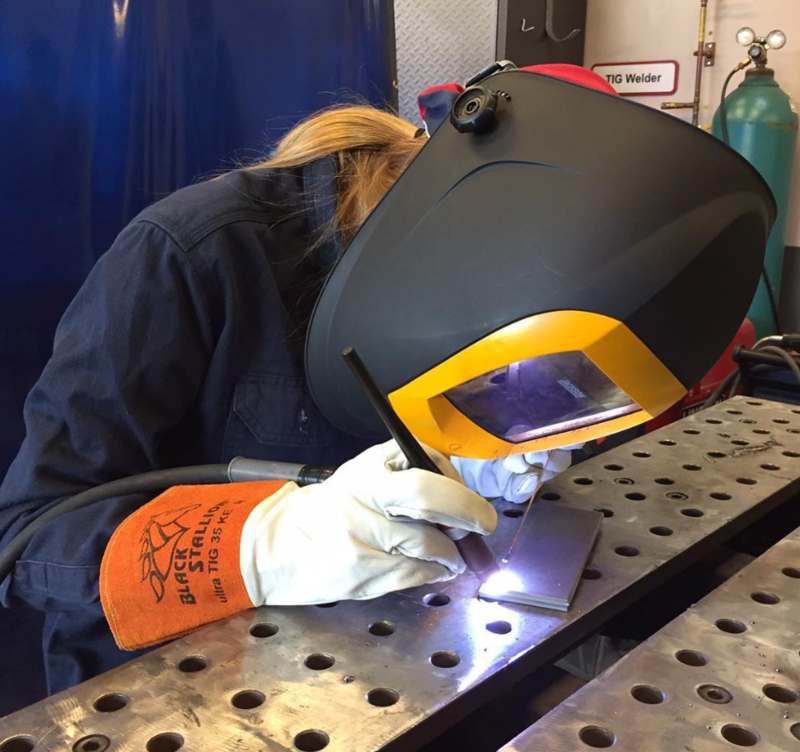 “As a woman I don’t think people expect you to know a lot about welding. Once you show that you know what you’re talking about, it doesn’t matter what gender you are,” she says. As proof, after a year and half, Erin was able to parlay her experience and skills to a move back to Cleveland where she is now a corporate trainer along with three other technical trainers at Lincoln’s headquarters. The school trains customers, distributors and Lincoln employees by providing general product knowledge, background for sales knowledge and best practices on maximizing productivity. Growing up, Erin’s parents encouraged her development in math and sciences while her grandfather—an engineer—encouraged her to pursue her education in engineering. Had she known then what an integral part of her career welding would be, she probably would have advised her fifteen-year-old self to take a class or get involved with a welding club. The Lincoln Electric Company, headquartered in Cleveland, Ohio, is the world leader in the design, development and manufacture of arc welding products, robotic arc-welding systems, plasma and oxyfuel cutting equipment and has a leading global position in the brazing and soldering alloys market. Since 1917, the Lincoln Electric Welding School has instructed over 100,000 men and women in the various methods and techniques of safety and arc welding processes. 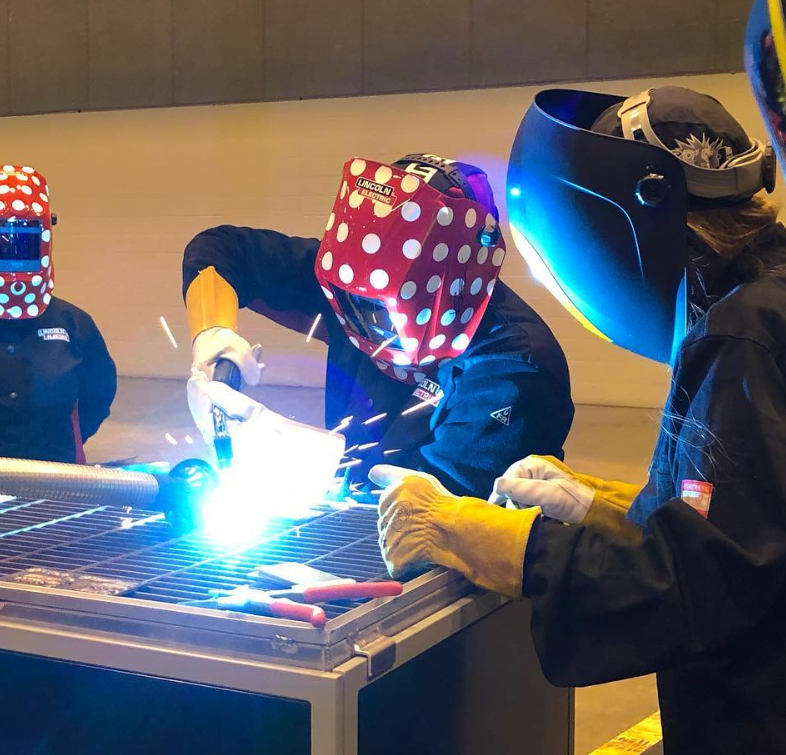 These Lincoln-trained students are in high demand by a variety of welding fabricators, at pay levels that exceed industry average. In addition, the school is listed by the Ohio State Board of School and College Registration, under certificate number 71-02-0059T. 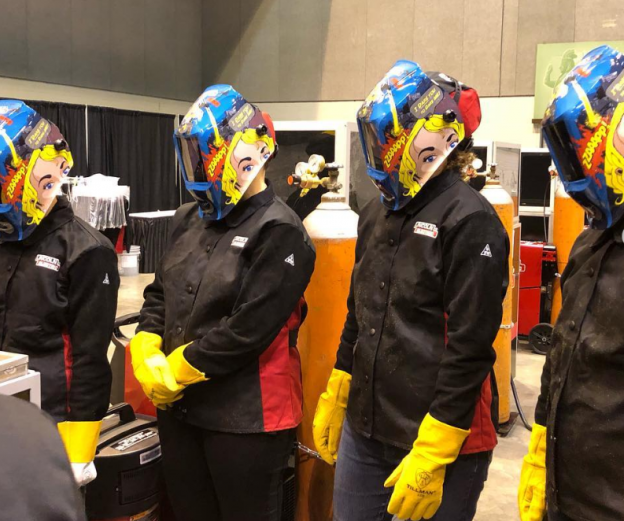 The Lincoln Electric Welding School is the oldest and one of the most respected arc welding schools in the United States. This entry was posted in Lincoln Electric and tagged Lincoln Electric, welding instructor on July 9, 2008 by Carmen.